AN EMOTIONAL tribute has been paid to a ’loving and caring’ community member who died after being hit by a car in Chelmsley Wood. 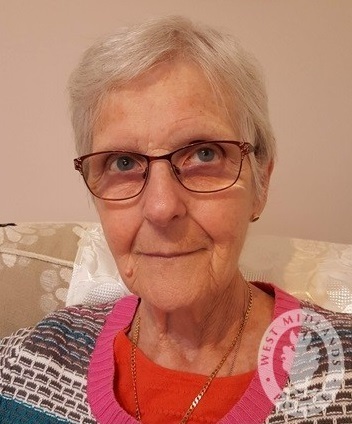 Jean Stilgoe was struck by a Ford Focus in Chester Road, near the Moor End junction, at around 5.45pm on Tuesday (November 6). The 79-year-old pedestrian suffered serious injuries and died in hospital a few hours later. Anyone with information should contact the Serious Collision Investigation Unit via email at FL_COLLISION_INVEST@west-midlands.pnn.police.uk, call 101 or Live Chat via WMP Online between 8am and midnight. Please quote log 2236 of 6/11/18.